TIP: For a brighter color sauce, add one or two drops red food color, if desired. 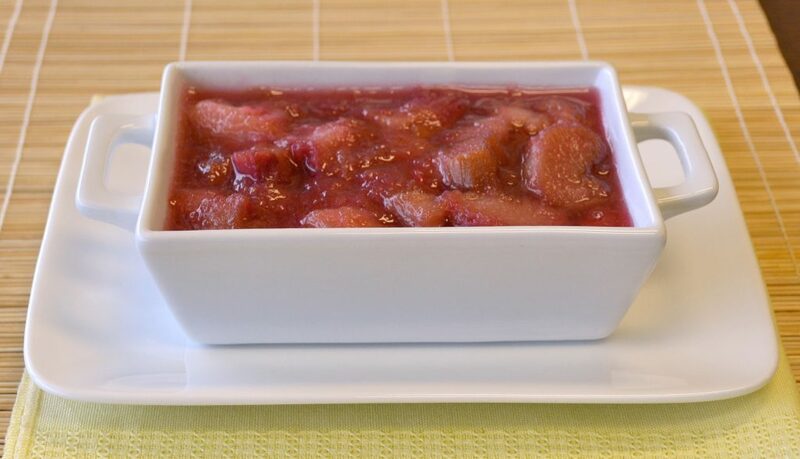 • Combine rhubarb, 1/2 cup sugar and water in 2-quart saucepan. Cook over medium heat 6-8 minutes or until rhubarb is tender. Cool slightly. Stir strawberries into warm rhubarb mixture; set aside. • Combine half & half, eggs, 1 tablespoon sugar, vanilla and salt in bowl; mix well. Set aside. 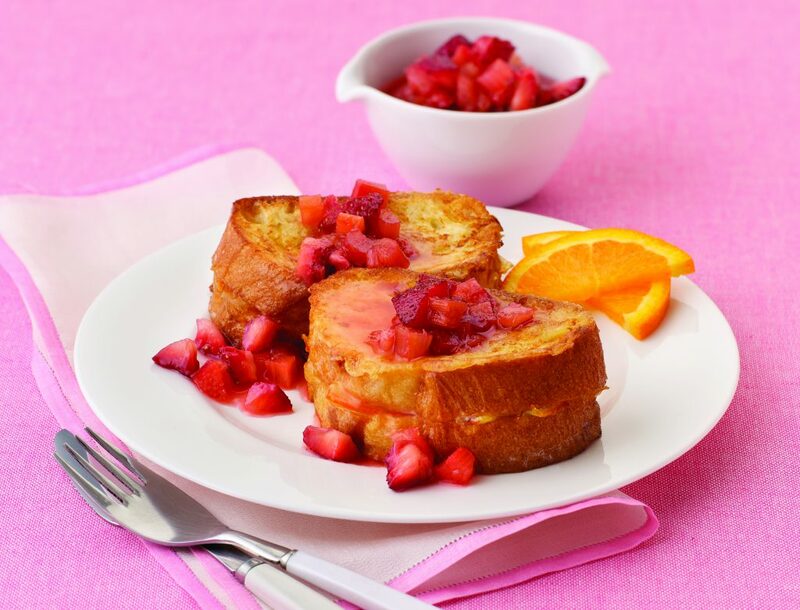 • Spread 10 slices bread with marmalade; top with remaining bread slices. Dip each sandwich into egg mixture, allowing mixture to soak into bread. • Melt 2 tablespoons butter in 12-inch nonstick skillet over medium heat. Place 5 dipped sandwiches into skillet. Cook, turning once, 6-8 minutes or until golden brown. Remove to platter; keep warm. Melt remaining butter in skillet; cook remaining dipped sandwiches. Serve with sauce. • Combine all ingredients in medium saucepan. Cook over high heat until mixture comes to a boil. Reduce heat to low. Cover; cook 3-5 minutes or until rhubarb is tender. Cool slightly. Cover; refrigerate until serving time. • Heat oven to 400°F. Wrap outside of 9- or 10-inch springform pan with aluminum foil. Lightly grease inside of pan. • Combine flour and 1/4 cup sugar in bowl. Cut in butter with pastry blender or fork until mixture resembles coarse crumbs; stir in milk until moistened. • Press crust mixture onto bottom and 1 inch up sides of prepared pan. Bake 15 minutes; remove from oven. Cool to room temperature. • Reduce oven temperature to 325°F. • Combine 1/3 cup sugar, water and cornstarch in 2-quart saucepan. Stir in strawberries and rhubarb. Cook over medium heat, stirring constantly, 5-7 minutes or until mixture comes to a full boil. Continue cooking, stirring constantly, 2-3 minutes or until thickened; remove from heat. Cool to room temperature. • Place cream cheese, 1 cup sugar and lemon zest in bowl; beat at medium speed until well mixed. Continue beating, adding 1 egg at a time and scraping bowl often, until just mixed. 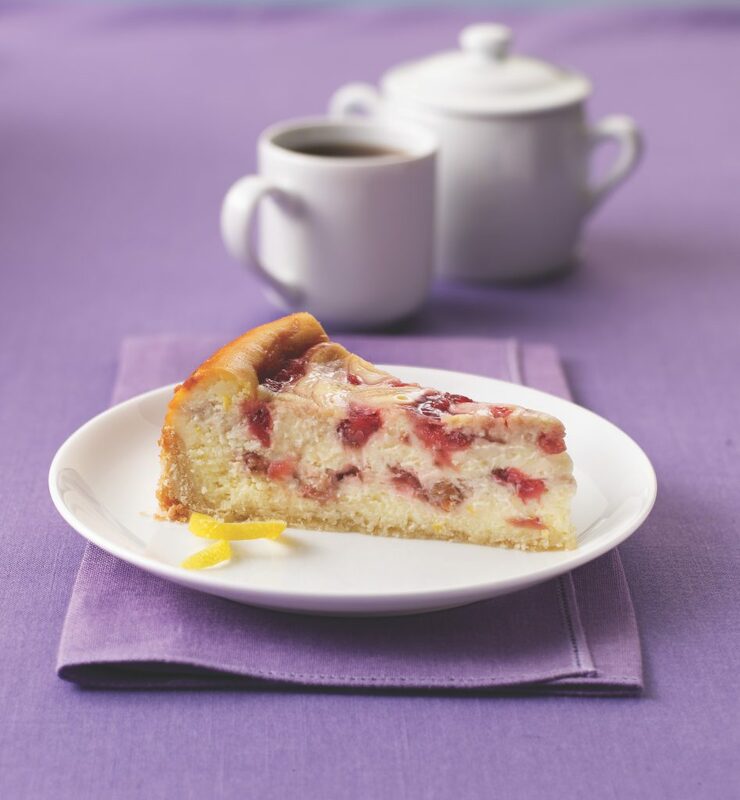 • Spoon half of cheesecake mixture over cooled crust. Spoon half of filling over cheesecake mixture; swirl with knife. Top with remaining cheesecake mixture. Spoon remaining filling over cheesecake; swirl with knife. • Turn off oven; open oven door 4 inches. Let cheesecake stand in oven 30 minutes; remove from oven. • Loosen sides of cheesecake from pan by running knife around inside of pan. Cool in pan 2 hours. Cover; refrigerate 8 hours or overnight. Remove sides of pan. Store refrigerated. • Heat oven to 350°F. Grease 13×9-inch baking pan; set aside. • Combine sugar and 3/4 cup butter in bowl. Beat at medium speed, scraping bowl often, until well mixed. Add eggs and vanilla; continue beating until creamy. 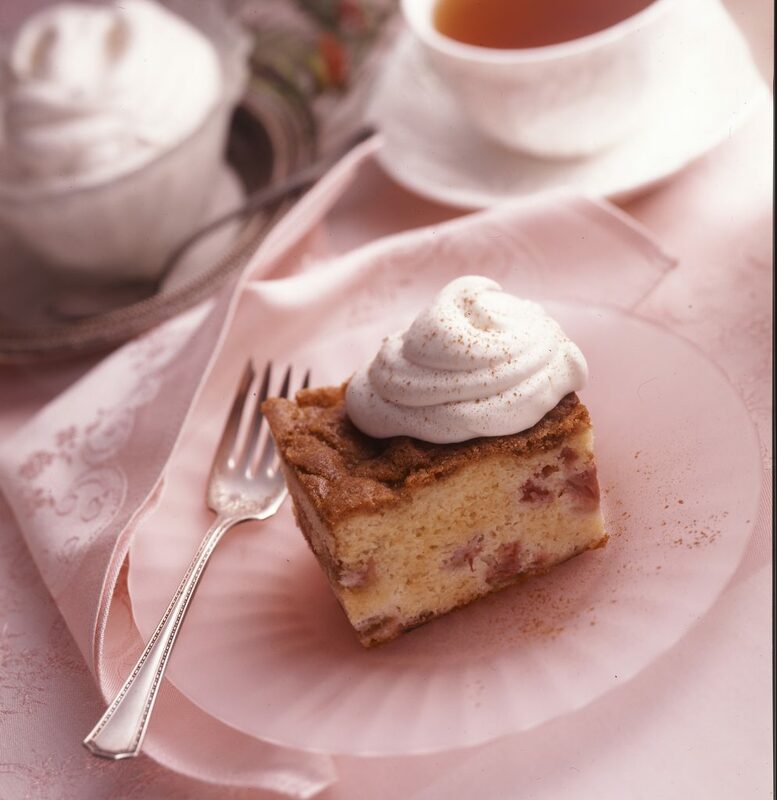 • Place rhubarb and 1/4 cup flour in bowl; toss lightly to coat. • Combine remaining flour, baking powder, baking soda and salt in another bowl. Add to butter mixture alternately with sour cream, mixing well after each addition. Stir rhubarb gently into batter. Spread evenly into prepared pan. • Combine brown sugar, 1/4 cup flour and cinnamon in bowl; cut in 1/4 cup butter until mixture resembles coarse crumbs. Sprinkle evenly over batter. Bake 45-55 minutes or until toothpick inserted in center comes out clean. • Dollop each serving with whipped cream. Sprinkle with additional ground cinnamon, if desired. • Heat oven to 350ºF. Grease and flour 8×4-inch loaf pan; set aside. • Reserve 1 1/2 cups batter. Spread remaining batter into prepared pan. • Combine all streusel ingredients in bowl; stir until mixture resembles coarse crumbs. Sprinkle half of streusel over batter in pan; gently press into batter. Carefully spread reserved batter into pan; top with remaining streusel. Press streusel into batter. • Bake 65-70 minutes or until toothpick inserted in center comes out clean. Cool 10 minutes; remove from pan. 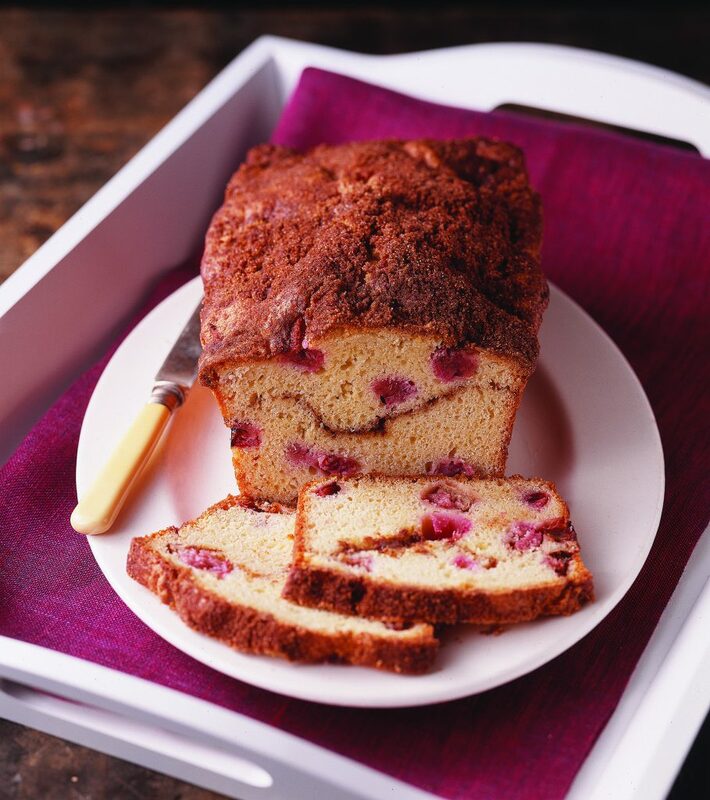 Recipes and photos courtesy of Land O’Lakes, Inc.